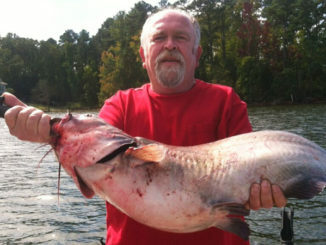 The Santee Cooper lakes probably have more blue catfish in the 10- to 15-pound class than anglers could ever hope to catch, but the occastional 30-pound and up monsters are always a possibility. 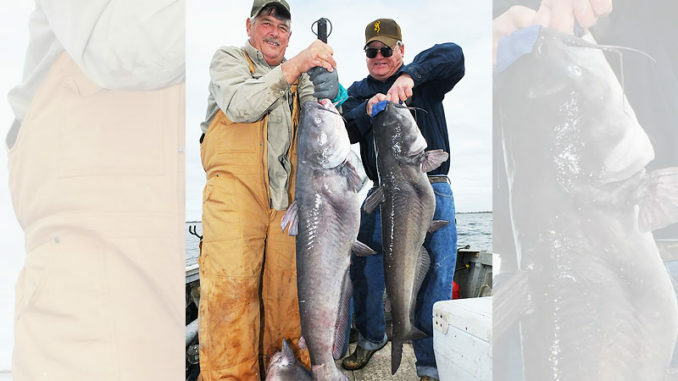 Catfish anglers know that blue catfish thrive in lower water temperatures. But on the Santee Cooper lakes, Marion and Moultrie, one of the most-productive times is when the water temperature dips to the lowest point of the year. Once you understand the process, it can happen for you. Tad Resser of Manning is a lifelong Santee Cooper fisherman. 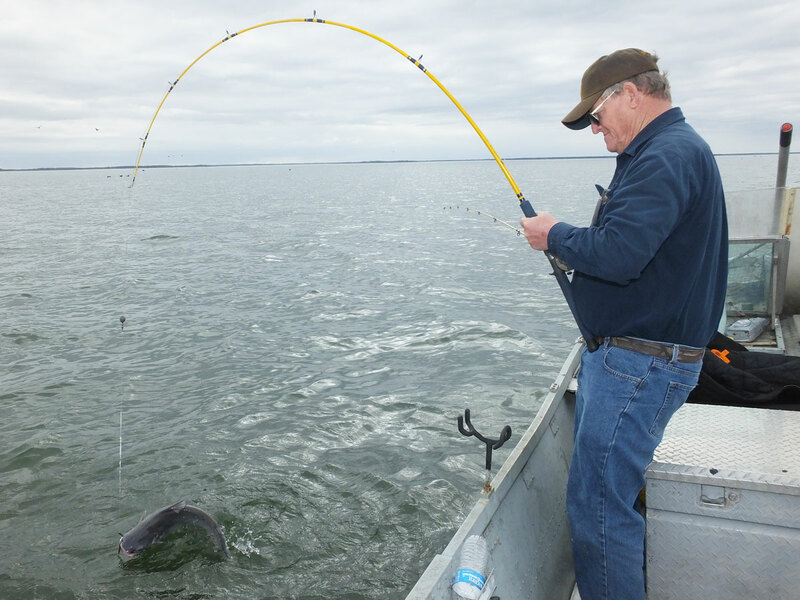 He considers finding and catching blue catfish during the winter to be his specialty and passion. Reeser said the primary forage for blue catfish during winter is shad. The fishing really gets hot when the water temperature dips below 50 degrees. 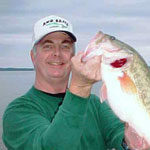 Reeser said as the shad schools grow ever larger and tighter, the falling water temperature slows their metabolic rate. They move more slowly, and blue catfish swarm them. When the water temperature drop is quick and dramatic, the best fishing follows. When targeting blue catfish on the shad schools, Reeser said the best bait is the natural one, fresh shad. He’ll catch them before the trip, preferably the same morning or the evening before. Reeser uses a 1½-ounce sliding sinker above the swivel; any baitcasting reel will work, but he prefers a 7½-foot Shakespeare rod with a light to medium-light tip but with plenty of backbone. A rod with a light or medium-light tip will help hook catfish when drifting live or cut baits over winter schools. Reeser uses his boat’s electronics to find the huge concentrations of shad that are his ground zero fishing target. “I’ve learned that not all shad schools are equal,” he said. “If catfish are actively feeding on a school of shad, the screen image will depict a broken or disrupted section of the shad. This is a high-percentage target. Reeser marks his target, then gets upwind, drops a heavy anchor and allows the boat to drift back directly over his target. He fishes vertically and will usually fish 10 or more rods, depending on the number of fishermen in the boat. Reeser and his clients catch fish of all sizes with a lot of fish in the 5- to 15-pound class. When fishing the right places, it’s very common to hook multiple large fish on any given day. “When the conditions are right hooking fish in the 30- to 40-pound class can occur and you’ve always got the potential for much larger fish,” he said.